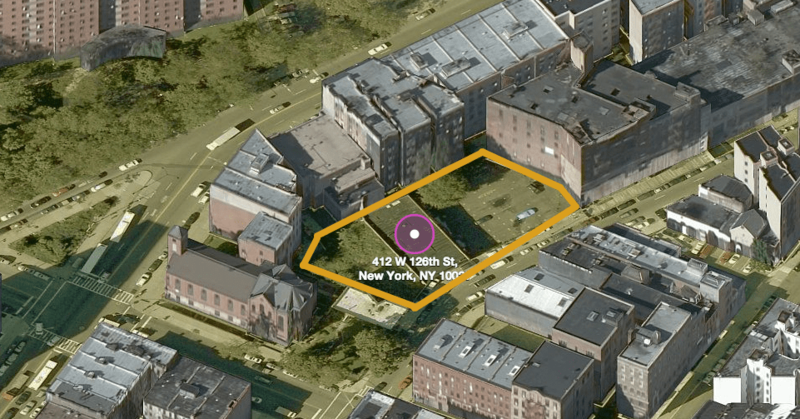 Apartments, Hotel & Community Facility are coming to West 126th Street, between Morningside Avenue and Amsterdam. 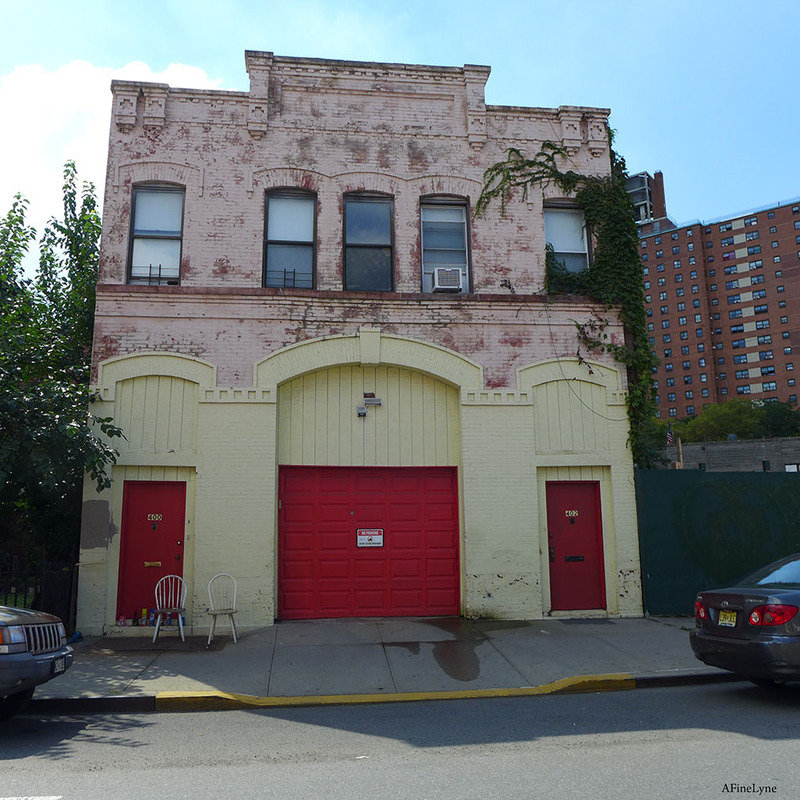 The lot, which physically sits next to a historic carriage house at 400 West 126th Street, has already been cleared, permits filed, and construction ready to begin. 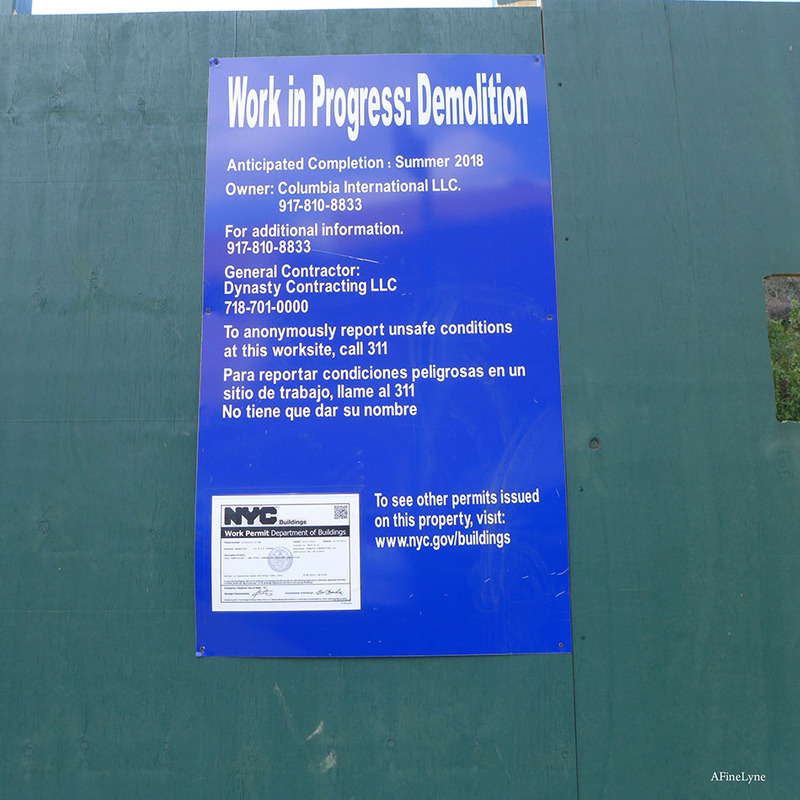 New construction located from empty lot, west on 126th Street. Image via Google Maps. Plans for two separate buildings have been filed. 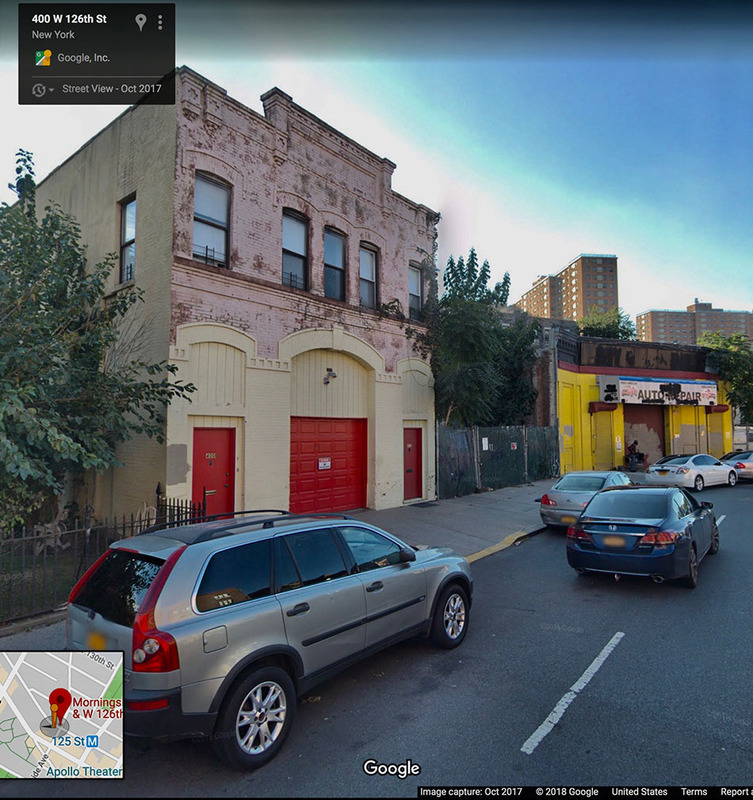 The Google image above shows the empty lot and auto body shop, next to a carriage house, once owned by St. Joseph’s Church. 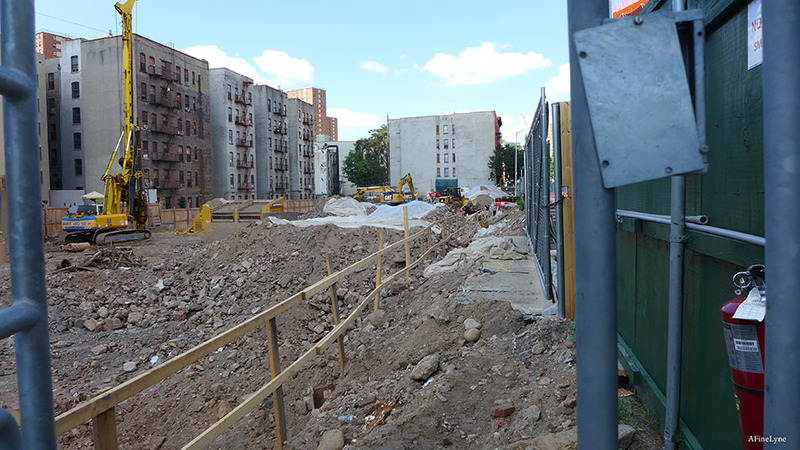 The auto body shop now demolished (image below) and cleared lot, below. 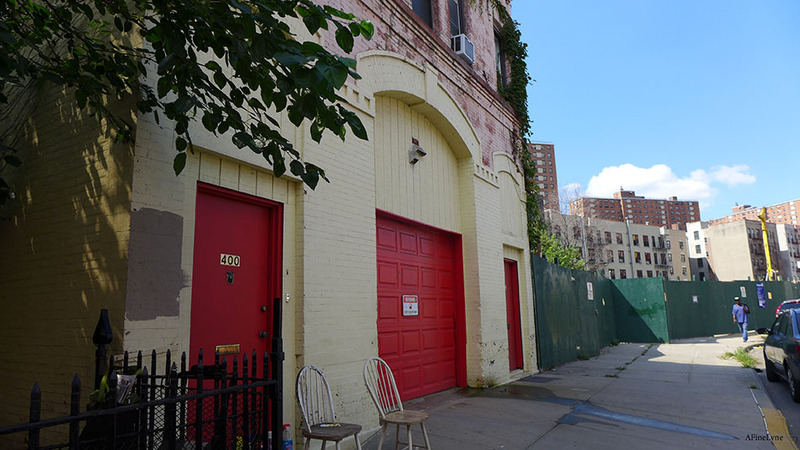 Permits show a call for a 9-story hotel at 412 West 126th Street (next to the carriage house) and a 16-story residential building next door at 418 West 126th Street. The apartment tower will reach 165 feet into the air and host 75 apartments. They’ll be spread across 58,932 square feet of residential space, for average units of 785 square feet. Rentals seem likely, marketing to students at Columbia or City College, both within a few blocks. Retail will fill the cellar and first floors, followed by seven units each on the second through eighth floors, five units each on the ninth and 10th floors, four a piece on floors 11 through 13, two on the 14th floor and full-floor units on the top two floors. The project will also include subterranean parking for 48 cars in the cellar, which is more than zoning requires for the apartments. Perhaps some of the spots reserved for hotel guests next door. The hotel next door will feature a 5,000-square-foot community facility on the ground floor, with eight stories of hotel rooms stacked on top. Between the retail in the residential building and the hotel, the two properties will have 64,769 square feet of commercial space. When construction is complete, the mixed-use complex will span 128,700 square feet and fill just over half of a 20,000-square-foot lot. This development (the two buildings) is spread across six tax lots. The image above features (lower left) St. Joseph’s Church on the corner of 125th Street and Morningside Avenue, with its garden in the rear, on the corner of Morningside Avenue and 126th Street. 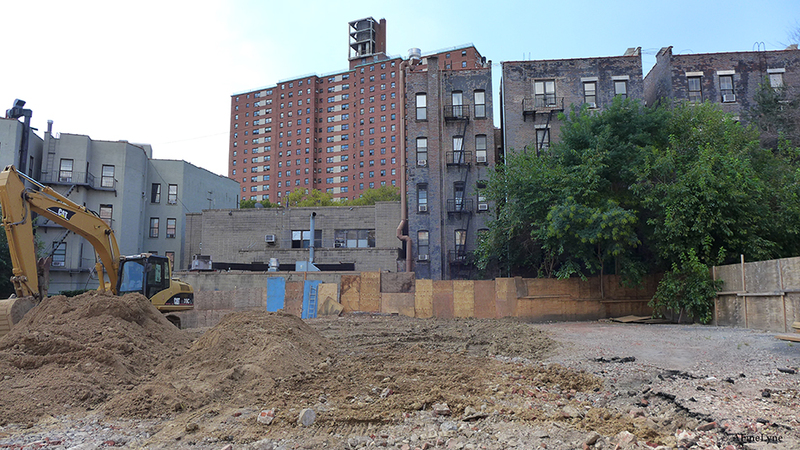 Next to the garden on 126th Street, and visible in the above image, is the roof of the cottage. The yellow marker indicates the large area that will hold the two new structures. It appears that the cottage has been spared from demolition. Queens-based, Chinese developer Bo Jin Zhu is listed on the permit application, as is Em Architectural Design. We were unable to find plans for this project at this time. 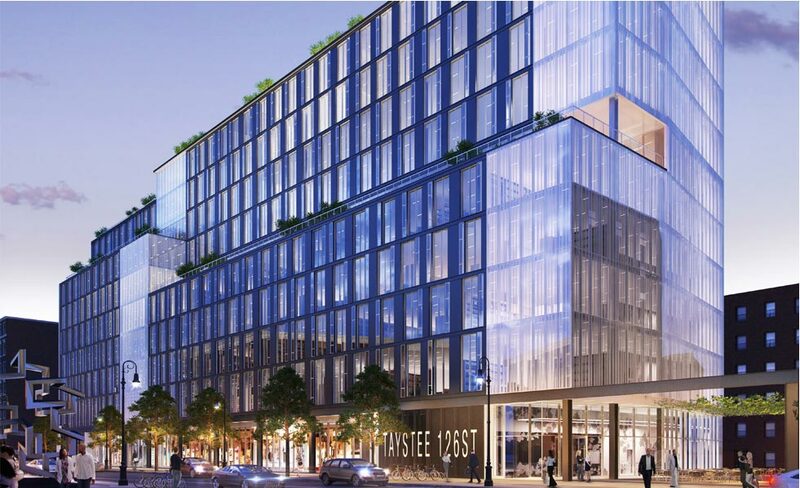 Also scheduled to rise on that block, the Taystee Building complex to be located at 450 West 126th Street, scheduled for completion in 2020 (rendering above ~ cleared lot below). Not far from the site of this new hotel is The Aloft Hotel Harlem, located on Frederick Douglass Blvd & 124th Street, opening its doors in December, 2011 ~ And on 125th Street between Frederick Douglass Blvd and Adam Clayton Powell Jr Blvd, The Victoria Theatre renovation, which will include The Renaissance Hotel and Victoria Tower. 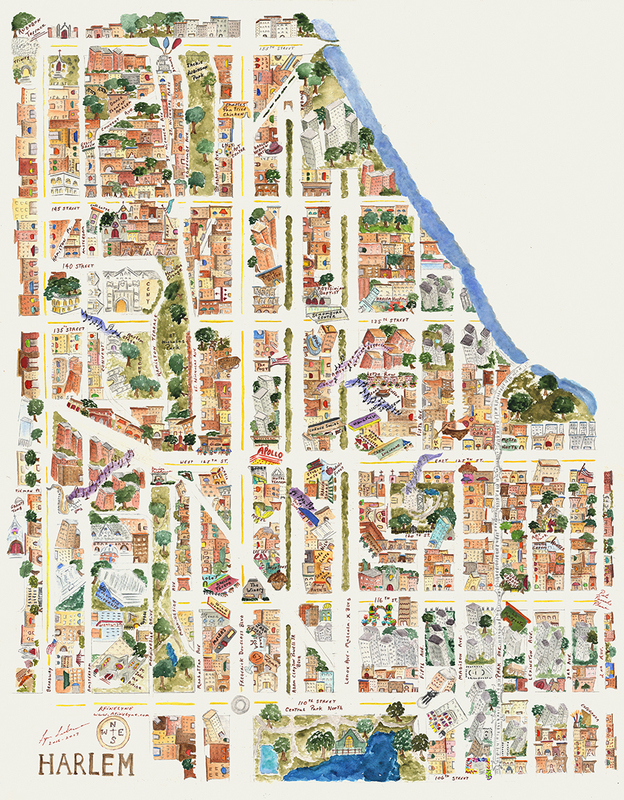 Don’t get lost ~ get a Harlem Map, sold at Nilu Gift Shop on Lenox Ave at 120th Street or on the wall at The Winery Harlem, located on 116th Street near Frederick Douglass Blvd.